Surrealism is more than an artistic style—it’s an artistic movement. 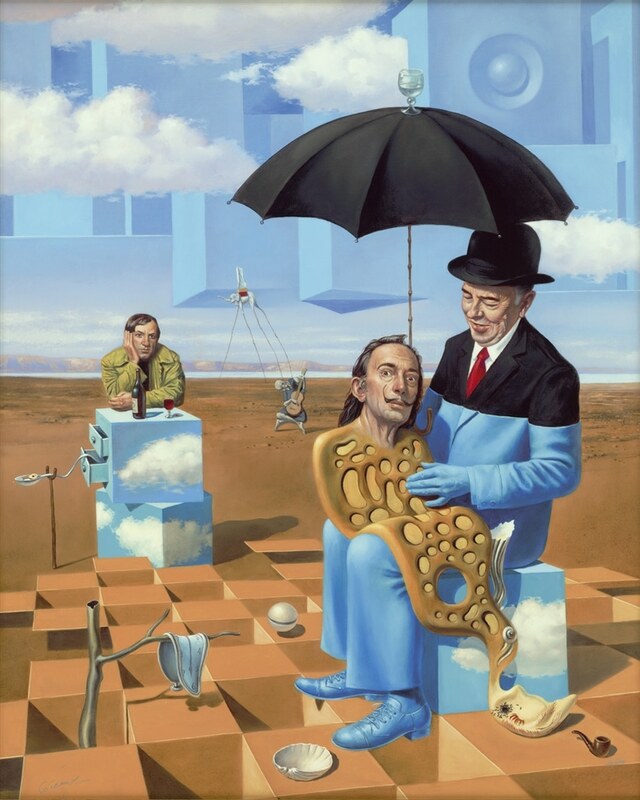 Unlike other creative movements, which can be characterized by themes of imagery, color choices, or techniques, defining Surrealist art is slightly harder to do. Over the years, Surrealism has resulted in a fascinating collection of artwork ranging from mythical landscapes, to obscure sculpture arrangements, to intriguing depictions of people and animals. What Is Surrealism and How Did It Begin? The poet Guilliame Apollinaire first coined the term “Surreal” in reference to the idea of an independent reality, existing “beneath” our conscious reality. But the Surrealist movement initially surfaced in 1924 when French poet André Breton published his “Manifesto of Surrealism,” influenced by the theories and writings on the unconscious mind by psychologist Sigmund Freud, the groundbreaking studies of Karl Jung, and the early 20th-century Dada movement. “Minotaure Aveugle Guide Par une Fillette, I” (1934). 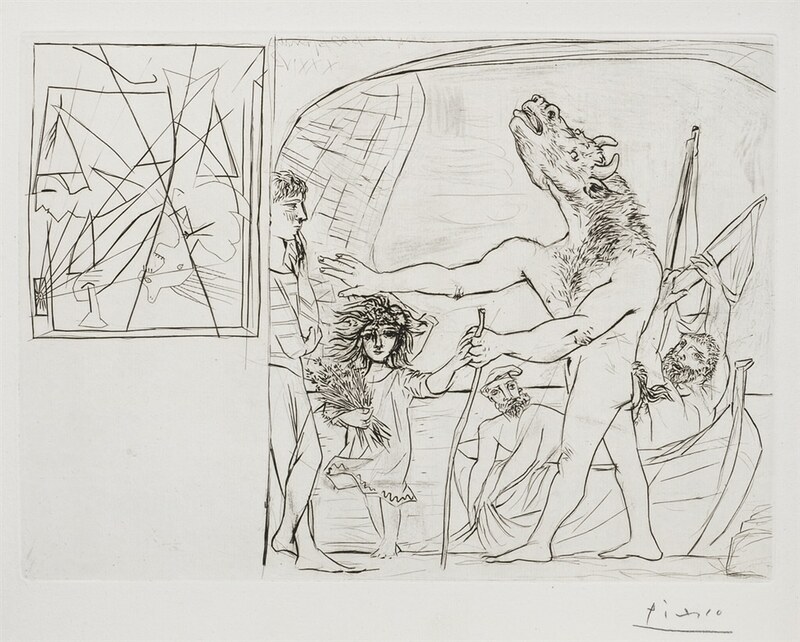 Etching from Picasso’s Vollard Suite. Early Surrealists challenged the constraints of consciousness and rationality in order to liberate the unconscious mind—a “superior reality,” as Breton called it. A fundamental aspect of the Surrealist movement is a mode of expression called “automatism,” which involves the act of automatic or uncensored recording of the thoughts and images that emerge into an artist’s mind. With a focus on tapping into involuntary thought processes and interpreting dreams, Surrealist artwork is not limited to a specific artistic style or technique. Throughout the 1920s, visual artists continued exploring Surrealist concepts in art, seeking complete creative freedom. The first-ever Surrealism exhibition, titled “La Peinture Surrealiste,” took place in 1925 at the Galerie Pierre in Paris, firmly establishing the visual component of the movement. Though the Surrealist movement in Europe dissipated at the start of World War II, many Surrealist artists relocated to the United States where the movement was reignited, influencing renowned visual artists throughout the 20th century. Because of the emphasis on creative freedom, artistic techniques in Surrealist artwork vary greatly. However, in depicting the dreamlike imagery so common in Surrealist art, a number of techniques were devised by Surrealist painters to help capture the thoughts of the unconscious mind. 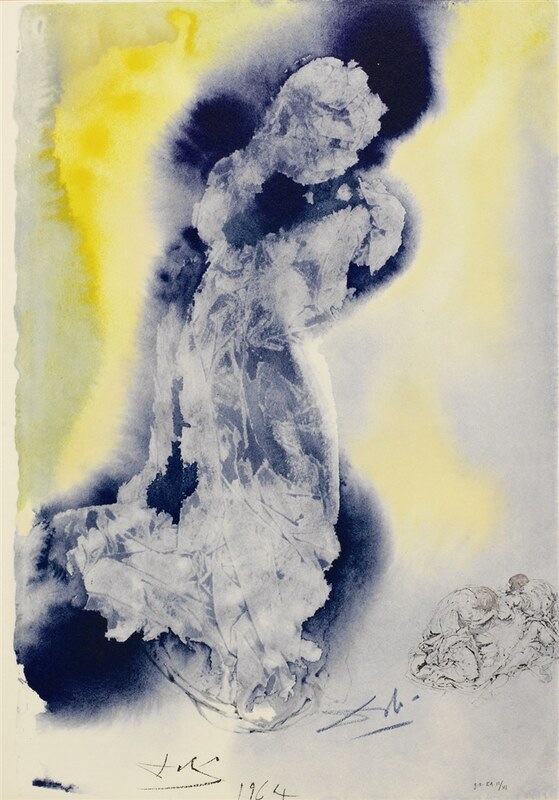 Frottage (rubbing a soft pencil or crayon over a textured surface, leaving remnants of the texture on the paper or canvas) and grattage (scraping the painted surface of canvas to generate a more visual texture) were techniques that created a partial, unfinished image, prompting the viewer to explore the missing details. But Surrealist artists were not confined to just one medium. Sculptures, painting, lithography, etching, film, photography, and other methods were all part of 1920s Surrealist art and continue to impact modern-day artists inspired by Surrealism. Many Surrealist artists also combined different artistic styles in a single work, exploring the presence of recognizable shapes paired with fluid, uncertain imagery to guide their viewers’ minds without providing concise explanations. The main goal for Surrealist artists was to embrace automatism and to release the mind’s imagination and unconscious thoughts, which was interpreted differently by each artist. 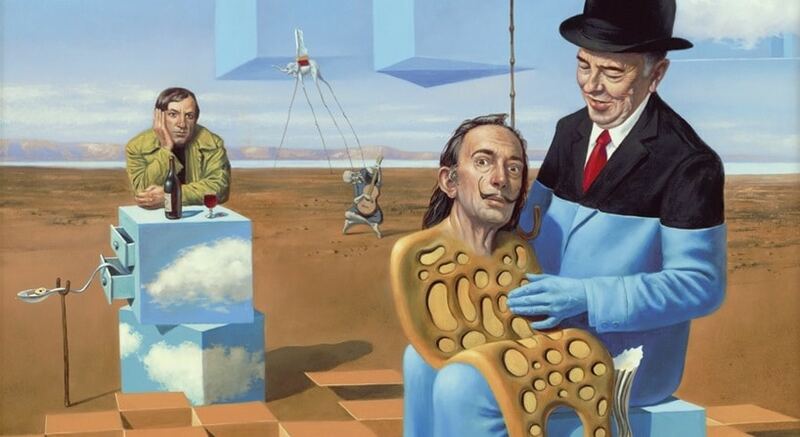 Salvador Dalí is one of the first names that comes to mind when discussing Surrealist artists. 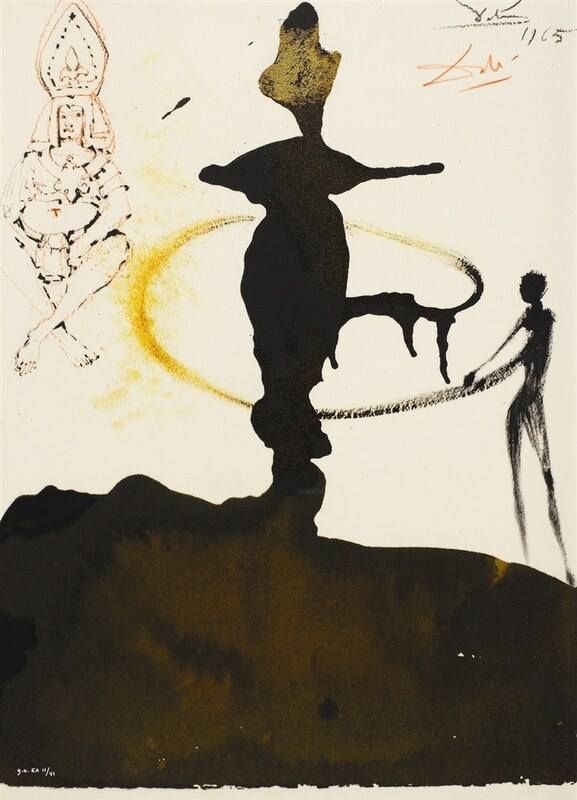 Like many Surrealists, Dalí utilized various mediums to create his iconic dreamlike, hallucinatory visuals including etching, lithography, and painting. Breton described Dalí’s art as “a retrograde craft with the most extreme inventions of modern culture,” highlighting Dalí’s emblematic artistic style that provoked his viewers to explore literature, religious concepts, and more. 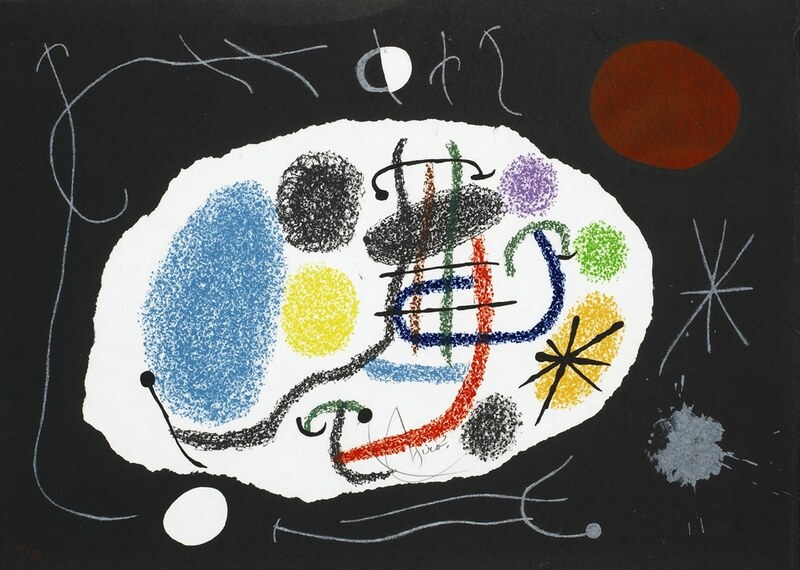 Another notable name, once described by Breton as “the most Surrealist of us all,” is Joan Miró. 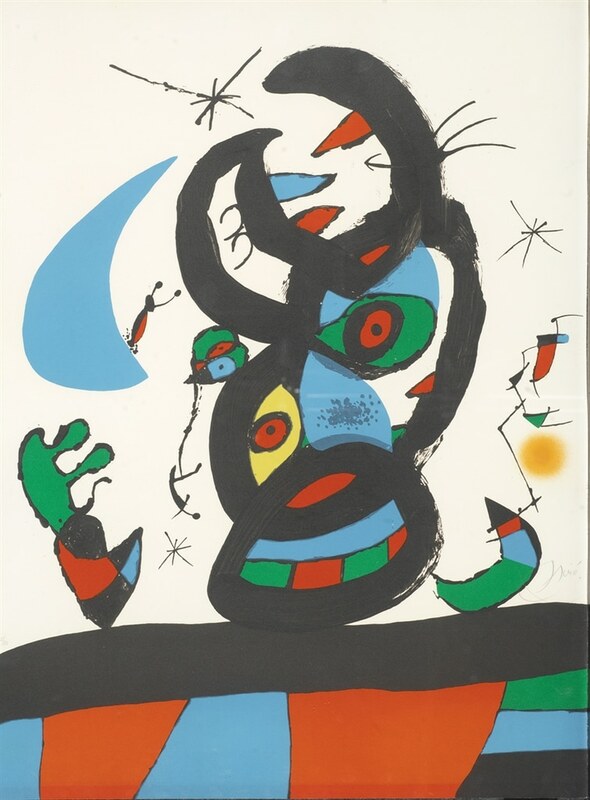 Though Miró did not proclaim himself a Surrealist, he was undoubtedly influenced by the movement in much of his work. Miró was famous for his works across numerous mediums, drawing inspiration from Catalan folk art and the art of children. 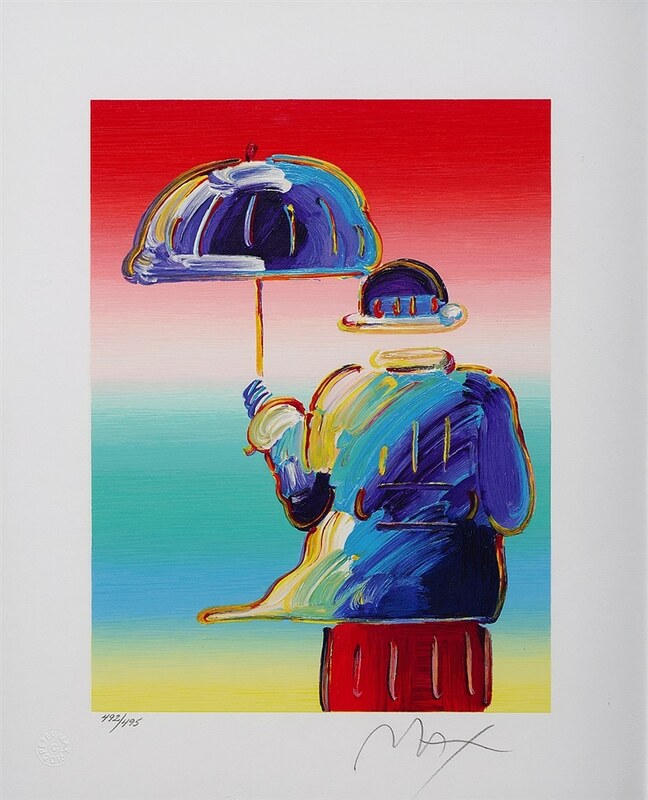 He emphasized vibrant colors and obscure shapes to invoke emotion and wonder in his audience. 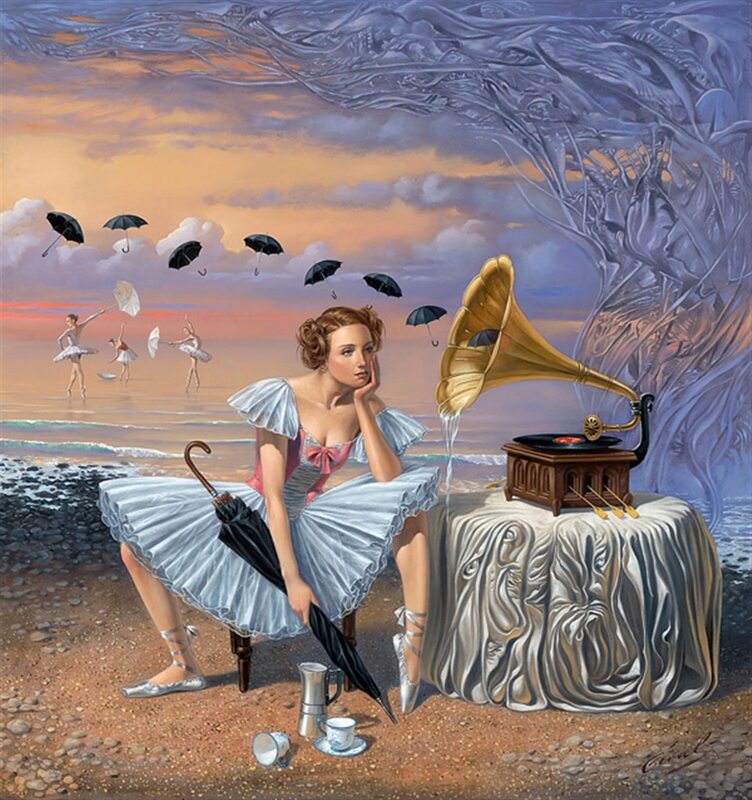 Contemporary artist Michael Cheval demonstrates how the Surrealism movement of the 1920s has influenced modern-day art with his imaginative “Absurdist” paintings that grew in popularity in the early 2000s. 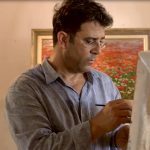 Like many of the early Surrealists, Cheval uses music and poetry to inspire the subjects he paints in his mesmerizing, often metaphorical paintings. 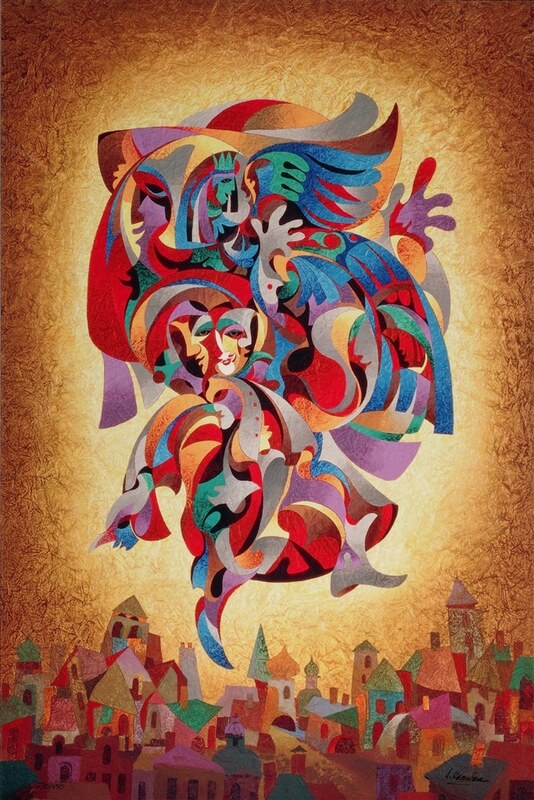 Another modern take on Surrealist art is seen in the work of Anatole Krasnyansky. Though originally gaining success for his stunning architectural landscape paintings, Krasnyansky developed a surreal style after first seeing the rock band KISS. This moving experience prompted Krasnyansky to begin illustrating his emotion through his art with masked characters, reminiscent of the focus on the automatic recording of thoughts that shaped the Surrealist paintings of the 1920s. While Krasnyansky’s shapes are decidedly distinct, the masked figures represent “a multiplicity of faces” that the artist says represents how people adapt and change in different situations. While Surrealist art does not fit into a neat box determined by a checklist of commonalities, its focus on automatism and the unconscious mind that motivated the original masters of the 1920s continues to impact the works of modern-day artists and creators. From the abstract and colorful shapes of Miró’s etchings to the composed, mysterious paintings of Krasnyansky, Surrealist artwork captures the imaginations of art lovers and collectors across the world.